Go-Rugged is a UK-based company which specialises in a wide range of rugged IT equipment, including ruggedised laptops, toughbooks, PDAs, mobile phones, ultra-mobile PC’s (UMPCs), tablet PCs, and more. We provide an in-depth, one-stop solution for all your rugged IT equipment needs. We sell a wide range of rugged equipment – from fully, semi and business rugged laptops to tablet PCs; from rugged peripherals, i.e. hard disk, Pen drive, USB flash drive to rugged communications i.e. mobile phones, Dect cordless phones, handheld radios; rugged PDAs / UMPCs and a wide range of rugged accessories for all models. Brands we stock include Panasonic, Motorola, General Dynamics / Itronix, Getac, Intermec, Micro Flex, Cadex, Samsung, Utano, DAP, Trimble, Lind and many more. Stock ranges from new to used or refurbished and this is clearly stated in the individual item’s description. We are also able to source stock that has been discontinued and therefore difficult to purchase. In addition to this, most of the products are held at our warehouse, meaning minimum lead times on orders. We are a leading supplier of the Panasonic Toughbook range of ruggedised computers. Panasonic Toughbooks are manufactured to three levels of ruggedness – fully, semi and business – in laptop, tablet and ultra mobile PC (UMPC) form factors. The Toughbook range is designed to work in diverse environments and is therefore resistant against water, dust, dirt, heat, humidity and cold temperatures. When you need a laptop that can withstand almost anything (whilst also helping to protect your critical data), a Toughbook may just be the solution you are looking for. Also a more recent addition to the Toughbook family is the Panasonic Toughpad which is designed to meet the same durability standards as Panasonic’s Toughbook but in a tablet form. Ruggedised PDAs, as the name suggests, are designed for use in harsh environments where knocks, bumps and heavy weather are all part of the job. The PDAs stocked by Go-Rugged carry long-charge batteries, some of which can also be ‘hot swapped’, to work comfortably through a full shift. The devices also have high-resolution screens, which are easy to read in most weathers, and heavy-duty plastic cases to survive a drop from a height (please refer to product description for exact distances for each PDA). As well as being compatible with all standard wireless networks, a number of the devices also support connection through GPRS, when WiFi networks are beyond reach. Optional extras can include a built-in barcode reader, RFID reader, several keyboard options and touch-screen interface with stylus, micro-SD card support, bluetooth, wifi and GPS connectivity, camera and a range of charging options, from desk to in-car. Alongside the products we stock, we have an extensive inventory of parts and accessories. From internal parts such as motherboards, I/O boards, LCD screens and optical drives, to port covers, caddies, batteries, power supplies and also optional extras including GPS kits, HSDPA cards, modems, backlit rubber keyboards and more. By supplying parts, our aim is to assist our customers to prolong their machine’s longevity, whilst also reducing costs and downtime to IT equipment, thus having a minimum effect on production. The Panasonic Toughbook CF-19 is one of our most popular sellers. With one quick swivel, the wireless Panasonic Toughbook CF-19 transforms from a fully-rugged notebook PC to a fully-rugged handwriting-friendly tablet PC, with the ability to take handwritten notes, mark and edit documents and draw diagrams. The optimised display technology with low reflection allows for perfect visibility even in bright environments. The data is secured on the hard disk drive – enclosed in a shock-absorbing damper that sits inside an aluminium case. A double waterproof structure ensures a tight durable seal that complies with IP54 water and dust proofing standards, and a special HDD-heater that counters any adverse temperatures. At just 7in, the JT-B1 Android™ 4.0-powered Toughpad gives mobile workers all the integrated features and options they require in a tablet that goes anywhere business takes them. It’s the ultra-mobile, ultra-convenient tablet computer. The Motorola MC7094 is designed to withstand all-day, everyday use in nearly any environment. This rugged, compact PDA device delivers true anywhere, anytime wireless WAN/LAN/PAN voice and data communications, including superior voice functionality, data capture and the power to run nearly any application. The MC70 Series provides everything your mobile task workers need to achieve a new level of enterprise productivity and it is lightweight yet rugged. 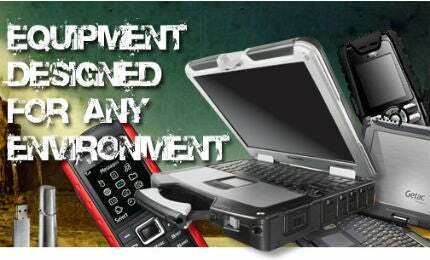 Go-Rugged is a subsidiary company to Pan-Toughbooks, which specialises in all models of the Panasonic Toughbook. We recommend hardware products based on customer feedback and we’ll always aim to supply the best value rugged IT products to meet your needs and preferences. Whatever your need, we are here to help. Our team of experienced and highly skilled individuals are dedicated to providing the highest levels of customer satisfaction. We have many happy customers in the UK and worldwide to whom we have supplied rugged IT equipment, parts and accessories. Our customers include individuals, small companies and large corporations.